We have a large selections of various Awards and trophies here at Calendar Lady Promotions all waiting to have your business details and company logo printed or engraved upon and our Crystal Awards with Logo are the right product for you. Our Crystal Awards with Logo can be engraved to say anything you require from out standing achievements to retirement awards. To find out more about our Crystal Awards with Logo click here and fill in the contact form and we'll get straight back to you. 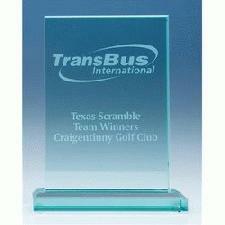 Other promotional and personalised items besides our Crystal Awards with Logo click here.